Samsung Galaxy R for UK in July? A lot of people will be looking at their screens just now saying “so what?” “the Galaxy S II is miles better”….. and they would indeed be correct. 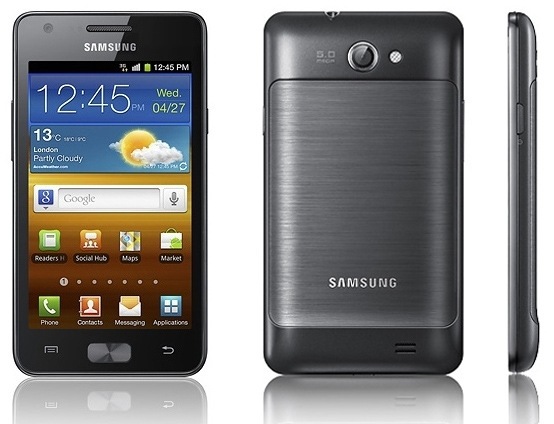 Though the Galaxy S II is far superior to the Galaxy R it should be noted that the Galaxy R can still pack a mean punch. The Galaxy R is just 0.2 MHz short of its bigger brother at 1.0 GHz dual core, 3 MP less at 5 MP for the camera but has a whopping 8 to 24 GB less onboard storage with just 8 GB (I know, 8 GB is still loads). Powered by Android 2.3 (Gingerbread) the Galaxy R (or Galaxy Z as it’s also known) still does not have a set price or release date though we will keep you as up to date as we can with that.